Over the past month or so, I�ve had NetFlix sending me �Buck Rogers in the 25th Century: The Complete Epic Series�. 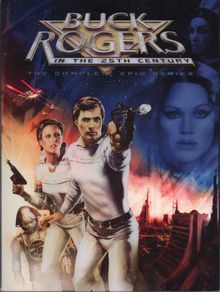 Buck Rogers, as many of you remember, was a show that somewhat successfully tried to jump onto the Sci-Fi bandwagon which was started by the first �Star Wars� movie in 1977. TV producers saw the success of Star Wars and tried to catch lightning in a bottle. First there was the original �Battlestar Galactica�. While �Battlestar� produced a loyal viewership, it lacked the broader appeal that was necessary for a network TV show to prosper. This was compounded by the fact that it cost an average of $1 million per episode � a hearty sum even by today's production standards. The show�s producer � Glen A. Larson � then tried something different. Borrowing a little from the Aaron Spelling school of television magic, �Buck Rogers� was designed to pull in male audiences ranging in age from pre-puberty to thirty plus with the enticement of beautiful women in tight-fitting costumes and lots of action. The result was a show that many guys in my general age bracket watched religiously, willfully overlooking physics-defying implausibility, cheesy special effects and absurd plot lines to get their weekly dose of big hair and bare midriffs. Now most of our memories of the show are fond ones, but before you invest the time and money in re-watching any of this on DVD, let me review this series � episode by episode - so you can make a more objective decision. I�m not trying to discourage anyone but I�d say it�s important to be fully prepared. In fact, I�ll be giving my overall ratings so you can decide which ones are � IMO � the most compelling to watch. 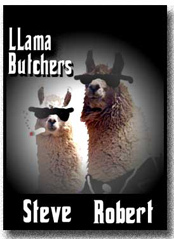 I�ll rate them a) Must See, b) Decent and c) Pass. 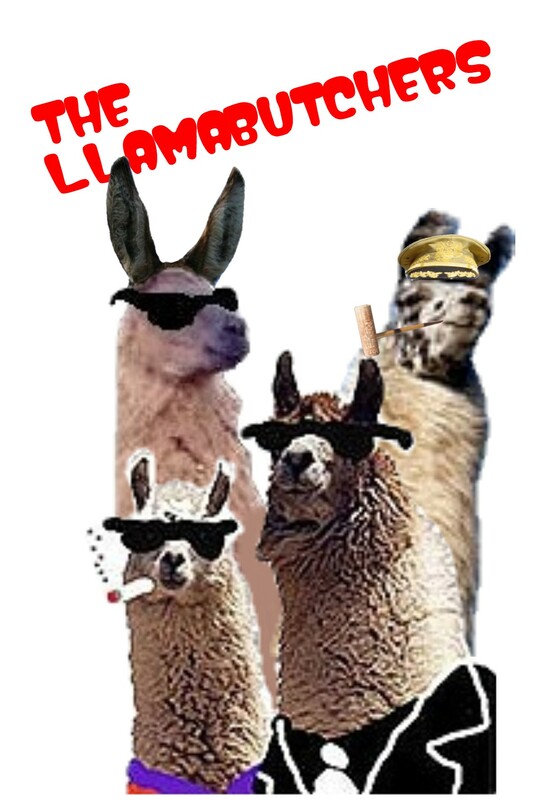 Today we�ll start off with the premiere episode. Ep. 1.1 & 1.2 �The Awakening (Parts 1 & 2)� (aired 9/20/79) � Ah, the pilot movie of �Buck Rogers� or what�s the show all about. Well, to watch the opening credits you�d think this should have been called �Outer Space Lap Dance�. The theme song, which was always featured at the end of each episode instrumentally, actually has lyrics written by none other than Glen A. Larson himself and sung by some guy named Kipp Lennon (no relation to John). The premise is of course that in 1987 Captain William �Buck� Rogers encounters some technical problems with his space craft and is sent on an orbital trajectory that brings him back around to the proximity of Earth in the year 2491. His life-support systems cryogenically freezes Rogers as 504 Earth years go by (all of this is explained to you by the authoritative voice of �Jake and the Fatman� actor, William Conrad). So in the opening credits, Buck is of course sleeping. The camera alternates between a sleeping Buck and several luscious women � including Erin Gray and Pamela Hensley. �What am I, Who am I, What will I be? Um, OK. So I guess we�re supposed to get the idea that while Buck is sleeping for 500 years, he�s dreaming about the babe-itute that awaits him in the future. Or maybe the whole 25th-Centruy thing is really a dream? Whatever. Of note, during the course of the credits there is a Rita-Hayworth style hair-flip by Erin Gray followed by a smoldering look into the camera. Sweet. BTW, if these opening credits don�t sound familiar, there is a reason. I�ll get to that later. Here�s the plot in a nutshell as most of us remember it: Buck is found and unfrozen by the Draconians, led by Princess Ardala, on their way to negotiate a peace treaty with Earth. Believing Buck to be a spy, they briefly interrogate him and then fill him full of happy pills to help erase his memory of the incident, sending his ship headed back to on course to Earth. The leaders of Earth allow him to land and though they are amazed to find out he may in fact be from their past, they suspect him of possibly being a Draconian spy. The Draconians are actually plotting an invasion of Earth and Buck figures out a way to single-handedly stop them. This wins him the gratitude and friendship of Earth�s leaders. After coming to grips with the idea that he can�t ever go back, Buck must now figure out how to adapt to life in the 25th-Century with the help of a little robot, Twiki, who acts as his sidekick. Twiki is played by vertically-challenged actor Felix Silla and voiced by the man of a thousand voices himself, Mel Blanc. Now obviously this is before the folks who re-booted the Star Trek franchise decided that the best way to differentiate an alien species from humans was to simply add a prosthetic cranial ridge to their foreheads and�voila! The Draconians look exactly like humans. And they have this ultra Star Destroyer-sized ship that can probably wipe out most of Earth by itself. 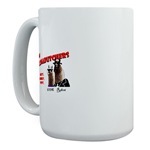 And what does the Earth�s Defense Directorate have? Fighter ships. So if Draconia is interested in blasting Earth into submission why not just send a half dozen or so of these mega ships and release the hounds? Nah. That would be too easy. And of course, why would Draconia�s Supreme Leader (named Draco, of course) send his daughter to lead the fighting force? Simple: She�s smokin� hot. Apparently, the original plan must have envisioned incapacitating all of Earth�s males by having the blood rush away from their brains straight to their johnsons. Enter Col. Wilma Deering to counter-balance this advantage with some smokin� hotness of her own. 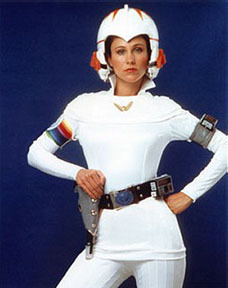 Unfortunately, the writers decided to have Erin Gray play Col. Deering as somewhat cold and guarded. Fans would have to wait for the next episode to be treated to the pastel satin flight suits. She does show a moment of vulnerability when at one point she decides to come on to Buck at a particularly inopportune time for him. But we won�t be getting any more serious contact between the two until the end of the season. The writers must have understood the impact of having them do the nasty: a complete destruction of their chemistry which would make the show �jump the shark�. This was a fate that would doom many TV shows in the future. But as the season unfolds, Wilma begins to lighten up and turn on the estrogen to become the object of desire for many a teenage fan. This pilot movie was originally shown in theaters, however it differed a bit from the version that was shown on TV. Specifically, the opening credits that I described earlier were clipped in favor of the standard opening �The year is 1987�� with the instrumental theme. There were also about five minutes of scenes that were also yanked out because they were considered a little racy, such as Twiki saying he was �freezing his ball bearings off�. New scenes were added to the TV version to replace the edited ones, such as Buck inspecting his new apartment. The scene where he requests that the phrase �I�d like to go to bed� as his voice-activated command to prepare his sleeping quarters be changed comes to mind. The DVD features the original theatrical release. One thing that�s always bothered me about the depiction of post-apocalyptic Earth was the idea used in the early episodes of a �Computer Council�. Like the Dr. Theopolis character that Twiki carries around his neck, the robots on this Council seemed to have final say over the Earth�s political policies. I know that the recovered civilization felt it owed its success to technology but you�re telling me they abdicated control of their society to these little blinking metal smiley faces? Please. "Twiki, get me some more damned "D" cell batteries. Now!" I will give credit to the writers for coming up the �stargate� concept. Basically, this was a plot device that allowed Earth�s fighters to travel long distances across the galaxy almost instantaneously. Star Trek later expanded on this concept with its series �Deep Space Nine� and the idea of a wormhole was, up to that point, not a familiar one in science-fiction. Here�s some other trivia on the series as whole. The fighter ships used by Buck and Wilma were actually based on a design that was to be the Colonial Viper ship for �Battlestar Galactica�. It had been scrapped in favor of the now iconic triple-winged ship design that survived into the modern version of �Galactica�. 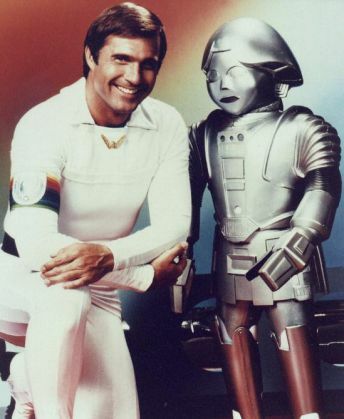 Also, many of the costumes for �Buck Rogers� were filched from the BSG wardrobe department. Next episode: �Planet of the Slave Girls�. Jack Palance rocks! I think the reason the Draconians were so much like us is that they were us. I may be conflating the comics and serials or other stuff here, but I think they were supposed to be people from Earth, who pulled out at some point in time after 1987 and prior to 2491. Any idea how to see the TV version of the pilot? Future reviews should feature more Wilma and less Ardala. Erin Gray was one pretty lady. Probably still is. Haven't seen her in anything though. Clarify my previous post. That would be "Haven't seen her in anything lately though". Twiki ruined the series for me. I hated him. Not aware of the TV version being available anyway besides reruns on Sci-Fi. And, don't worry. Much more Wilma to come. Much Much more Wilma to come.